So, just exactly how do you broach the sensitive subject of seniors driving? Ideally, discussions about seniors driving should begin while your aging parent or loved one is still safe behind the wheel of a car and living independently. Many seniors have already made changes to their driving habits. For example, most older people stop driving at night, in poor weather conditions, and in heavy traffic because of eyesight limitations and slower reflexes. Others seem oblivious to the dangers on the road and insist on driving regardless of the conditions. 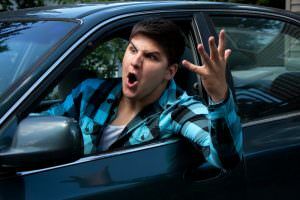 Road rage incidents are on the uptick and elderly people are particularly vulnerable. It is imperative that people understand the dangers related to this phenomenon. One 95 year old British man honked his horn when he thought a car was getting too close as the two cars merged on the highway. This resulted in the other, younger driver blocking the man’s car and verbally assaulting the 95 year old. It turned physical when the elderly gentleman opened his door to step out of his car. Before he could defend himself, the younger man slammed the door shut on his arm. Having conversations that can later ease the transition to not driving. Reminding him or her that driving may represent more than just a way to get places. Encouraging family and friends to help with transportation needs. Most parents and aging loved ones prefer not to be dependent on their children for transportation. Many will buy into letting you help with their transportation needs, if you talk freely. 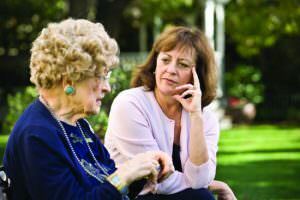 AARP offers resources, including “We Need to Talk,” which helps adult children assess their family member’s driving skills and provide tools for the difficult conversation. For an excellent tutorial click here. For those who want to remain independent of their children, there is good news. Moving to a senior community that provides transportation to doctor’s appointments, grocery shopping and recreational activities would be one option. However, many seniors wish to stay in their own homes, or want more spontaneity available to them. It is only a matter of time that LYFT and Uber become available in upstate New York, many seniors may find that this is the answer to their prayers. Although today’s technology may raise serious concerns about how practical these services are for seniors, there is some great news that may quell these fears. Both companies recently announced partnerships with service providers that allow older customers to book rides through a phone operator, circumventing smartphone apps entirely. According to a recent article in the Los Angeles Times, Uber and Lyft spent the last four years cornering the millennial market. Now they’re going after a new demographic: senior citizens. For more stories by Virginia Tortorici, click here!